Weather Forecast- local weather report,live weathers and hourly weather radar. 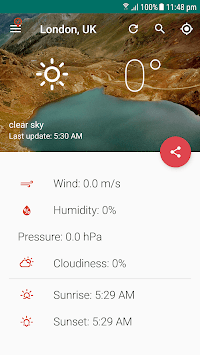 Weather forecast app is a weather channel which has accurate weather information. sucessful at work and have better life. Weather forecast is excellent, easy app, it updating with the weather conditions. 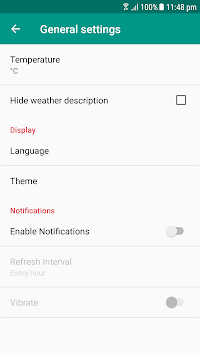 With one click to enable location and you receive the weather condition in your current location. - All is free, weekly, daily, hourly update with real time. - Wind, pressure, and chance of precipitation. - Experience weather conditions for rain, snow, fog and extreme heat with animated weather effects. - See animated sunrise, sunset, wind, and pressure modules. - Browse interactive maps: radar, satellite, heat, and snow. - Track all your favourite cities and destinations! - Twice daily notifications help you be prepared, whatever the weather. 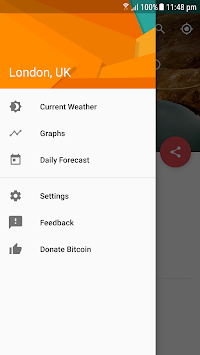 forecast app better and better.